These days, residences with an urban architectural style, featuring clean, simple lines, have become an increasingly popular choice for homeowners. Contemporary, but elegant at the same time, these homes all have one thing in common: a flat roof. Whether your roof is completely flat or only partially flat, you should know that there are certain restrictions that have to be taken into account when the time comes to repair it. That’s why it’s essential to do business with a specialized company. 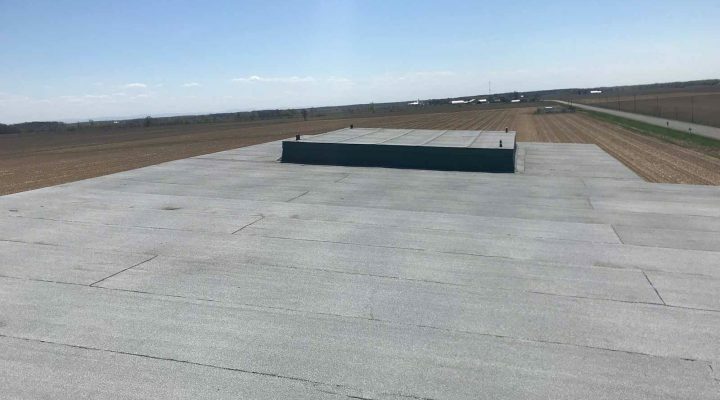 Since 1994, the team here at Couvreur Westars has been specializing in the repair of flat roofs with single-ply elastomeric coatings, TPO roofing and EPDM rubber roofing, as well as tar and gravel roofs. Asphalt and gravel are frequently found covering flat roofs in the Montreal area. Durable and affordable, these two materials combine to form a multi-layer waterproof roof that can last for up to 25 years. These roofs reduce the risk of water leaks, thanks to four or five layers of roofing felt, which is then covered with gravel. However, you should be aware that wind and extreme weather can dislodge the gravel, exposing the membrane to the sun, which may cause it to wear out more quickly. Made up of two layers, an elastomeric membrane is actually a petroleum-based rubber coating. Ideal for use in commercial and industrial buildings, elastomeric roof coatings are installed using a blowtorch, resulting in an optimal waterproof surface. This type of roof coating is often chosen for its consistency, durability (around 35 years) and choice of colors, including brown, grey, red, green, black and white. 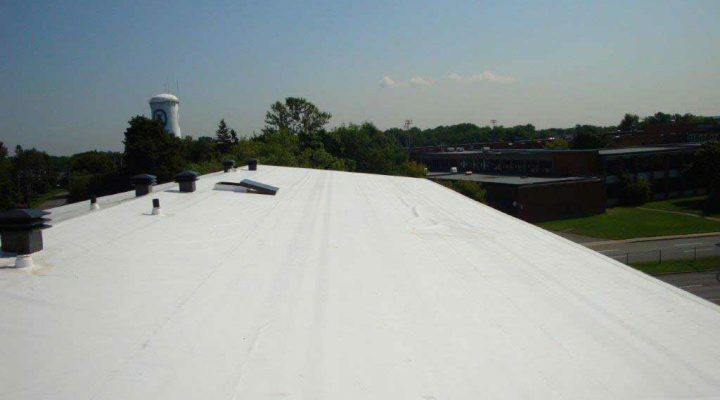 Maintenance-free TPO (thermoplastic polyolefin) roofing is an excellent choice for resurfacing your roof. With a thickness of approximately 1.5 mm, this membrane is made of plastic. All of the sections are fused together to create a continuous watertight surface. Unlike an elastomeric roof coating, TPO roofing is installed using a hot air gun, rather than a blowtorch, thus eliminating the risk of fire. 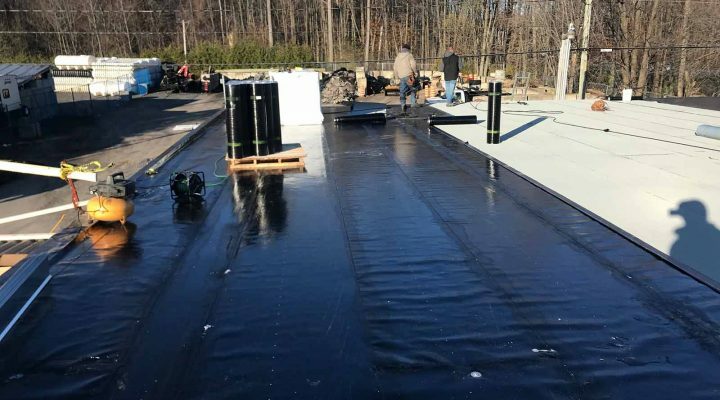 EPDM (ethylene propylene diene terpolymer) roofing is made of a synthetic rubber that’s not only highly resistant to sunlight, but also maintains its elasticity during the bitter cold days of winter. One of its primary advantages is that it offers a minimum useful life of 50 years. It’s also extremely rot resistant. Although it’s more expensive, it’s still the number one choice for use in flat roofs. At Couvreur Westars, we can install and repair light shafts, acrylic domes and skylights. We also offer roof snow removal service. We are covered by liability insurance, and all of our roofing work is covered by a 10-year installation warranty. which material to use for your flat roof?